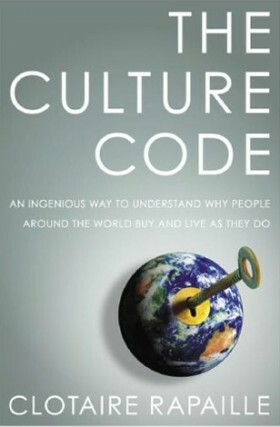 Clotaire Rapaille’s bestseller, The Culture Code:An Ingenious Way to Understand Why People Around the World Live and Buy as They Do, deserves a spot on the shelf of any serious marketer. Known for his pivotal work with Chrylser and other major brands, Dr. Rapaille’s depth of market knowledge is unsurpassed. He has the innate ability to break things (products, systems, services and brands) down to their most simple and basic structure and then to rebuild our interpretation of how we understand those products, systems, services and brands. He even changes how we might interact with each of these entities for the mutual benefit of both parties. Dr. Rapapille’s broad knowledge of world markets stems from his specialties in psychiatry, psychology, and cultural anthropology. Clearly, anyone who helps build major companies and transform opinions about brands worldwide, and also holds a doctorate degree in medical anthropology, has a few things to teach us about how we all make decisions and why we buy the way we do. I found the content regarding America’s distaste for “perfection” incredibly interesting. We want to buy a new car every three years and purchase a new TV every five years. We favor the immediate fix for long-term perfection. Compare the Chevrolet to the Bentley and you will see instant application of this theory. Look at our strip malls and fast food compared to the marble and stone structures in other cultures and you can begin to get an idea of how and why Americans buy compared to other cultures. Applying this knowledge to orthodontic practice can prove to be very successful endeavor, especially for the orthodontist who understands consumer behavior and uses that knowledge to mutually benefit both parties and encourage his patients to make healthy decisions.